Wrestlers are called crazy. Outsiders see wrestlers as a group who starve themselves only for the chance to roll around with sweaty guys wearing spandex. As people learn more about the sport, this perception of craziness intensifies, but for different reasons. The outsider only ever sees the hard work that goes into being a wrestler; he never gets the internal thrill of victory, the force driving the craziness, the wrestler experiences. The outsider who sees the hard work, dedication, and sacrifice that goes into being a wrestler, has a hard time believing why anyone would participate in such a crazy lifestyle, a lifestyle which seems to offer no visible reward at all. Why would anyone want to wrestle? What is it that a wrestler gets back from the sport to which he dedicates his life? And just as importantly, how does the wrestler find the strength for the dedication that the sport requires? The strength to carefully control your diet for six months of the year. The strength to practice hard every day, even when all your muscles are so sore you swear your body is telling you to take the day off. The strength to be a champion. These are not easy questions, but answering them can go a long way toward explaining what it means to be a wrestler and why it is such an influential life-changing experience. People choose to wrestle because of the delayed gratification the sport provides. This gratification is the reward for wrestlers; it is their why, the impetus that keeps them sucked into the sport. Equally as important is the how, the tactics of body and spirit required to win. Wrestlers derive the strength necessary for the dedication and sacrifice the sport demands from their future time perspective. Understanding these two ideas, delayed gratification and the future time perspective, and how they relate to wrestling, allows you to see the virtues of the sport. After you understand the wrestler’s why and how, his beliefs and actions no longer seem crazy. Looking through the wrestler’s mind’s eye, you can see how he focuses not on the hard work, but rather on the rewards that result from that work. From that perspective, the wrestler is not crazy; he just does what most people do not have the strength to do. Delayed gratification contrasts with its counterpart, instant gratification. Instant Gratification refers to the experience of being satisfied in the immediate moment without regard to the future consequences. Instant gratification is what you experience when you choose to skip your workout to eat an ice cream sundae. It is the pleasure that you experience while you are eating the sundae. Instant gratification is a form of hedonism, where your only goals are to seek pleasure and avoid pain. Delayed gratification is the idea that investment up front produces greater returns down the road. Delayed Gratification refers to the experience of refraining from pleasure in the immediate present in order to experience satisfaction at a later moment in time. These two types of gratification can categorize all the different types of pleasure and satisfaction. Delayed gratification is what you experience when you skip the sundae and workout instead. It is characterized by its two phases: phase one is where you sacrifice the immediate pleasure to pursue a longer term goal, and phase two is the feeling of satisfaction you experience after the achieving the long term goal. Delayed gratification is the pleasure you get after your workout resulting from your satisfaction in choosing to forgo the immediate pleasure in order to pursue a long term goal (in this case, improved health). Directly related to idea of instant and delayed gratification are the two different “selves” which experience delayed and instant gratification, what Nobel Laureate and psychologist Daniel Kahneman calls the experiencing self and the remembering self. The experiencing self is the in-the-moment subject who experiences instant gratification. This self enjoys the ice cream you eat while you are skipping your workout. The remembering self, on the other hand, is the subject which, two weeks down the road, thinks back and remembers what the experience of eating that ice cream was like. The actual experience of eating the ice cream, what the experiencing self enjoyed, and the memory what it was like to eat the ice cream, which the remembering self owns, are two very different things. The experience of eating ice cream is a form of instant gratification while the memory is not. In fact, all instant gratification is owned by the experiencing self, while the remembering self owns delayed gratification. According to Kahneman, when your experiencing self is happy, that is happiness in your life. He compares that with the happiness that the remembering self experiences, happiness with your life. The difference between the two types may seem subtle, but can have a profound impact on your overall satisfaction. Delayed gratification offers a way to make the remembering self happy, and in turn, make you happy with (as opposed to in) your life. Whenever you choose delayed gratification, you are choosing to create a positive memory. That memory is positive because that when you look back on a time when you choose to abstain from instant gratification to pursue a more important long term goal, you will always be happy that you made that choice. No one ever regrets working hard, wishing instead that they had slacked off more. Furthermore, since once an experience is over all that remains of it is the memory, the remembering self dominates your thought process, turning your experiences into stories. Delayed gratification creates stories with a positive message. One reason that the stories resulting from delayed gratification have such a positive message is that the activities for which you exercise delayed gratification are higher stakes activities. They require more effort and hard work. Because the amount you value something is directly proportional to how much effort you put in, by delaying gratification (putting in more effort) you now care much more about the result. So when the positive result occurs, you are more satisfied than you would have been if little effort was required. You feel fulfilled. This is why the positive experiences delayed gratification creates have such strong effects. For example, look at the choice eating ice cream or going to the gym to workout. When you choose to skip your workout and eat ice cream, you opt for instant gratification. Your experiencing self feels pleasure while you enjoy the ice cream, but as soon as you finish the sundae, that feeling is gone. The experience ends and now exists only as memory to which the remembering self has access. Instant gratification lasts only as long as the experience which produces it. Now suppose you go to the gym instead. While you work out, you will not experience the same hedonistic pleasure that eating ice cream produces. In fact, it may even be a painful experience, but this all changes once you finish working out. At this point, the remembering self has access to the memory of working out, and this allows you to experience delayed gratification. The memory your remembering self creates about your workout does not focus on the pain you might have experienced from lifting weights. Instead, the remembering self highlights how you choose to workout instead of eating ice cream. The memory focuses on the how you choose your long term well-being over short term desires. This positive memory, even when you think back on it years down the road, makes you experience delayed gratification. That is, you experience a satisfaction stemming from the fact that you made a positive choice. Furthermore, since this satisfaction is in the form of a positive memory, owned by the remembering self, the positive feeling does not fade the way instant gratification does. You can experience the delayed gratification every time you remember your workout. The long lasting nature is from where the power of delayed gratification comes. It creates positive memories which produce a long lasting, more fulfilling type of happiness than what instant gratification provides. Delayed and instant gratification are two completely different types of experiences. The latter is cheap and short term while the former is rich and long lasting. Delayed gratification requires that you invest in the outcome, in the process providing you with a more meaningful experience. It is the feeling you get when the fruit of your labor ripens and you can enjoy the results of your sacrifices. It is the pleasure of finishing a challenge. However, finding the strength to start the challenge and make the initial sacrifice is often the hardest part. This is where the right time perspective can help. Time perspective refers to what psychologist Philip Zimbardo defined as the study of how individuals divide the flow of human experience into time categories. People divide their experiences into the categories Past, Present, and Future. The most basic time perspectives that people have are past oriented, present oriented, and future oriented. What is important are the effects that these different time perspectives have on decision making and how these perspectives relate to the ability to delay gratification. The most intuitive time perspective is the present oriented time perspective. People with this time perspective focus on the concrete factors in the immediate present when making decisions. They ignore factors related to the abstract future or past. A present oriented person, when faced with the decision between working out and eating ice cream, will choose the ice cream. That is because they are concerned with the immediate present and eating ice cream produces pleasure now. The present oriented prefer instant gratification. They are not concerned with the positive consequences in the future which result from working out in the present. They do not see the causal relationship between actions in the present and results in the future. So, present oriented people have no use for delayed gratification. A future time perspective makes choosing delayed gratification possible. People with the future time perspective focus on the anticipated future consequences resulting from their present decisions. These are the people who choose not to eat the ice cream because of the future consequences associated with their consumption, and the negative impact on health of high-fat food. Future oriented people understand the long term costs associated with instant gratification and the benefits of delayed gratification. Where the present oriented person only sees the costs to their immediate enjoyment of delaying gratification, the person with the future time perspective has a more nuanced view, comparing the upfront costs with the future rewards. By focusing on the future consequences, they see the value of delaying gratification and are willing to delay or forgo immediate gratification in order to achieve a longer term and more meaningful goal. While present oriented people are unwilling to delayed gratification, future oriented people can use delayed gratification to pursue long term goals. Accomplishing these goals leads to fulfillment. A future time perspective makes all that possible by changing your decision making process to include positive future effects. The future time perspective gives the wrestler the strength to delay gratification. Hard and worthwhile are the first words which come to mind when I think of what it is like to be a wrestler. Better words are hardest and most worthwhile, because being a wrestler has been my hardest and most worthwhile commitment. Even though I have not asked every other wrestler, I am guessing that many of them would say the same thing. Why is this so? It is because wrestling requires so much sacrifice and dedication—requires you to forgo all forms of immediate gratification—that just surviving the grind of a wrestling season is one of the hardest things about the sport. But it is exactly those sacrifices that make wrestling so worthwhile; the benefit of being a wrestler is the delayed gratification that he experiences, the gratification that resulted from the wrestler’s hard work for future reward. While wrestlers are part of a team, every wrestler knows it is an individual sport. Contrasted with true team sports, where the success of the team depends on the sacrifice of the team, wrestling is a sport where your success depends only on how hard you work. One of the reasons that wrestlers are willing to sacrifice so much and work so hard is because they are doing it for themselves. Because of its individual nature, it also means that is the individual wrestler, rather than the team, who reaps the rewards of his hard work. The delayed gratification that a wrestler experiences is owned by him alone, and the only limit to the amount of delayed gratification is how hard the individual is willing to work. A wrestler’s primary competitor is himself. Everything a wrestler does is for the goal of improving himself. Because you are wrestling for yourself and against yourself, success is defined not by whether you win or lose a specific match, but whether you have improved as a wrestler over the course of a practice, a week, or a season. Because you are competing against yourself in wrestling, there is no way to cheat. After all, you would only be cheating yourself and would know that are doing so. There are no shortcuts in wrestling; you are trying to improve every day and the only way to do so is to give maximum effort, every day. This effort begins with how a wrestler approaches practice. Wrestling practice is the primary up-front sacrifice that wrestlers make. The sacrifices and effort that the wrestlers invest in practice lead to the gratification they experience later on. It is also during practice that wrestlers begin to develop their future time perspectives. Wrestling practices are among the most difficult of all sports. During practice, an exhausted wrestler must be willing to give maximum effort the entire time in order to improve and prepare for competition. This requirement leads wrestlers to develop a future time perspective because during practice they cannot focus on their exhaustion. In order to be able to push themselves, they will instead focus on the future consequences of their hard work in practice. They will think about how all of the hard work they are putting into practice will pay off on Saturday at the dual meet. This mentality is exactly what it means to have a future time perspective. During practice, the wrestler draws strength by focusing on the future consequences of his actions. If a wrestler tries to cheat in practice by not giving maximum effort—if they choose instant gratification—they will suffer for this choice. The reason that they might try to take a break is that they were focusing on how hard practice is in the here and now, rather than thinking about the future consequences of practice. The wrestler who loses his future time perspective and chooses immediate gratification in practice will pay for this choice in competition; losing is inevitable. However, this loss teaches a valuable lesson; it teaches the wrestler to use a future time perspective so that he can have the strength in practice to give maximum effort. The more effort the wrestler invests in practice, the more delayed gratification they will experience. The wrestler who gives maximum effort everyday has a whole series of positive memories his remembering self can draw upon. Every time he thinks back about practice, he does not remember how tired he was, but rather he is proud of how hard he worked in order to achieve his goals. These memories and the satisfaction they bring reward the wrestler for the effort invested in practice. Pushing yourself past the point of exhaustion in practice, to the point where your body tells you to quit and only your mind tells you to keep going, produces delayed gratification. Your body tells you to quit because your arms feel so heavy you could swear someone strapped weights to them, and your legs are so sore that your muscles feel like they will ripe apart if you take another step. Every serious wrestler is familiar with this feeling. Every wrestler knows what is like to want break in practice, to quit mentally and want to give up, but a wrestler uses his future time perspective to ignore this feeling and push forward. So later on when he thinks back about how he wanted to give in to instant gratification and quit, but instead choose to grind on, to continue to practice and give maximum effort, he gets a whole new wave of delayed gratification, bringing with it a fresh batch of positive memories. This is what wrestling practice offers—a continual source of delayed gratification and a chance to learn how to use a future time perspective. But of course, practice is not the only place where wrestlers learn these valuable skills. Making weight is another aspect of the sport of wrestling that provides delayed gratification. Making weight is such a grueling aspect of the sport that it is almost impossible to do so without using a future time perspective. Making weight is where a wrestler carefully controls his diet in order to weigh in at the maximum allowable amount permitted for his weight class. If a wrestler is overweight, even by a tenth of a pound, he will not qualify to wrestler. He cannot simply move up a weight class because he would be taking the place of his teammate, someone who had the discipline to control his diet and make weight successfully. The process of making weight is a total sacrifice, one of the purest forms of delayed gratification possible. Making weight requires the wrestler sacrifice the pleasure of pigging out in the here and now for the benefit of being able to compete on Saturday. All week long the wrestler avoids temptation and carefully controls his diet. He is rewarded for this sacrifice on match day. Only on match day does he experience the second stage of delayed gratification, the pride resulting from his sacrifice. But in order to obtain the delayed gratification making weight can offer, the wrestler must adopt a future time perspective. When most people start wrestling, they do not have a future time perspective, employing a primarily present oriented perspective instead. The first time a wrestler tries to make weight, however, quickly changes his view. Before developing a future time perspective, a wrestler will try to make weight using instant gratification; but, the methods this entails are so horrible that doing this once is enough to make them never want to do it again. Instead, they adopt a future time perspective. The wrestler with the present time perspective does not focus on his weight until the night before he has to make weight. Instead of slowly dropping the weight all week by eating healthy and working out, he chooses to go out and eat pizza for lunch one day. The next day he might have some ice cream for dessert. Then, the day before he has to make weight he might be 5 or 10 pounds overweight. He is then forced to do the worst thing in the sport of wrestling: try to lose a significant amount of weight in a short period of time in order to be able to compete. This might involve staying up all night running, biking, spitting into a cup, doing anything and everything to lose those last couple pounds. Trying to lose a significant amount of weight in one night is a horrible experience. A wrestler will never want to lose weight that way again and will avoid it at all costs. Moreover, this rapid weight loss almost exclusively comes in the form of water weight which, despite attempts to rehydrate after weigh-ins, leaves the wrestler sapped of energy. Fortunately, there is an alternative. A wrestler with a future time perspective can cut weight using delayed gratification. He does not go out for pizza or eat ice cream during the week. Instead, he loses a little weight every day, focusing all the while on how by cutting weight smartly he will avoid the fate of the wrestler with the present time perspective. He will not have to stay up all night losing ten pounds the day before a competition. He will have to be disciplined, and the strength for that comes from his time perspective. All week long he says no to every temptation. He does not go out for pizza with his friends, eat those cookies after dinner his mom baked, or drink that milkshake his sister made for the family. But all the immediate gratification he resisted manifests itself in the delayed gratification he experiences on match day after making weight. Making weight is another area where wrestlers are taught to use a future time perspective and experience delayed gratification. But even the gratification he experiences upon making weight pales in comparison to what a wrestler feels during competition. 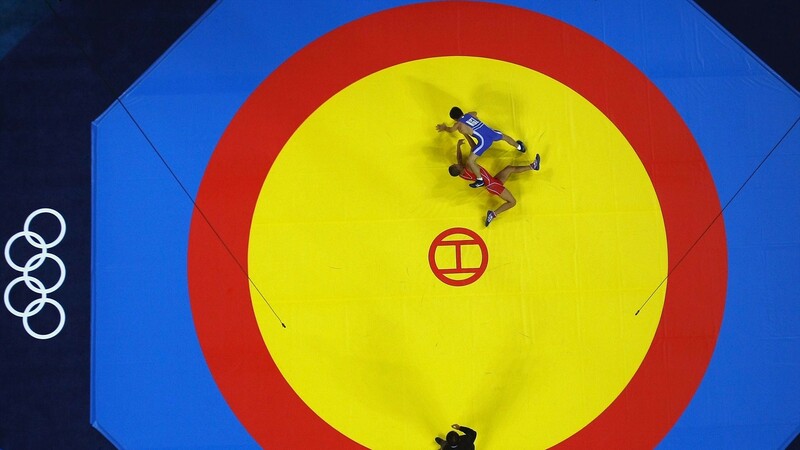 When wrestling in a match, it is just you and your opponent out on the mat. Your teammates can cheer you on from the sidelines, but they cannot influence the outcome. Win or lose, you alone are responsible for the outcome. What this means is that the outcome of a wrestling match matters more to the wrestler than a victory in a team sport ever could. In team sports, the entire team shares either the credit or the blame for a victory or a loss. In wrestling, the weight of the outcome is owned by the individual wrestler. The fact that the outcome of the match is entirely owned by one person makes the wrestler care so much; he has invested so much effort upfront and the wrestling match is where the payoff is supposed to come. All of his hard work comes down to his performance in a single six minute match. So when he wins, he feels satisfaction and gratification made possible only because of how much he has sacrificed to make it to that point. Of course, winning every match is impossible, and losing is inevitable. Losing a wrestling match, however, provides yet another opportunity to learn to develop a future time perspective, and losses provide the foundation for the pinnacle of delayed gratification: beating an opponent who you lost to earlier. In fact, wrestlers learn much more from their losses than their victories, and a successful wrestler will use his loss as motivation to work harder. For the same reasons that winning a wrestling match provides unparalleled satisfaction, the one-on-one nature of the sport, the pain of losing can be difficult. Losing a wrestling match means that all of your sacrifice and hard work were not enough. It means your opponent out-worked you. It means you must work harder. When you lose a wrestling match, in order to learn from the experience you need to own up to the loss. The first step requires admitting that the loss was your fault. To do so requires maturity and mental toughness. Even though the easier path is to offer excuses, blaming the referees or your coaches, this is not the path to becoming a better wrestler. Making excuses will only cause you to regress. In wrestling, when confronted with your mistakes and losses, the only way forward is to accept responsibility and resolve to improve yourself. For a “bad” loss, this path can be particularly difficult. The worst type of loss that you can have in wrestling, or any sport for that matter, is a “bad loss.” A bad loss is when you lose to an opponent who had no business beating you, someone you know you are capable of beating. Because the responsibility for the loss falls only on the wrestler, a bad loss in wrestling hurts in a way a loss in a team sport cannot. You have let yourself down, and that pain stings you like a wasp, shaking your beliefs and confidence. A bad loss tries to break your spirit and can make a wrestler want to quit. But, it is after a bad loss that the tough really stand out. The tough wrestler is able to battle back, while the weak wrestler quits mentally. One reason the tough wrestler is able to overcome this adversity is because of his future time perspective. The immediate present after a tough loss is a dark and lonely time. The wrestler is alone with just his thoughts about why he lost a match he could have won. The correct step after a tough loss—a resolution to work harder and improve the areas which lead to the loss—is an investment in the future. It requires that you sacrifice now to avoid another bad loss. After a bad loss is a time where, more than ever, you must focus on the future consequences of your present decisions. The wrestler is faced with two choices right after a bad loss, and they lead to very different future consequences. During this period, the wrestler feels as if he has worked so hard for nothing. He has let himself down and is disappointed in himself. He can either choose to wallow in self pity, or choose to work harder and avoid another bad loss in the future. If he chooses the latter, he can use all of that extra work, and the confidence it brings him, to beat the opponent who handed him the bad loss the next time he wrestles him. If he focuses on working harder, the delayed gratification he experiences after that win is the best feeling in wrestling. After all, since the amount of gratification you experience is proportional to the effort you invest, and the effort required to keep working after a bad loss was so monumental, the satisfaction of seeing your effort pay off can be profound. That profound satisfaction provides the clearest explanation for your resolution to work harder; it is the why. You realize that all the hard work was worthwhile. As you reflect upon how you were at the bottom and wanted to quit but battled back instead, choosing the hard but worthwhile path, gratification and fulfillment wash over you. After you have ridden this wave once, you know the only way to respond to a bad loss. You know the value of delayed gratification and why you need to exercise a future time perspective. That perspective gave you the strength to look forward, while the gratification was the reward you experienced for your mental toughness and grit. While other sports offer delayed gratification and teach a future time perspective, they are integral to wrestling. These concepts are woven into the fabric of the sport, surrounding the wrestlers like the singlets on their backs. Wrestlers are constantly focusing how everything they do in the present will affect their future. They think about how their hard work in practice will translate to an advantage in conditioning during the third and final period of a match when their opponent is tired and fading. They think about how by eating healthy they are avoiding losing weight the night before the match. They think about how their renewed commitment after a bad loss will let them win the rematch. Wrestling provides such a clear link between hard work and success, that whenever a wrestler thinks about working hard, he is implicitly thinking about how his effort will translate into success on the mat. People without a future time perspective miss the causal link between hard work in practice and success in competition. Because they do not see the rewards for their hard work, they might not be willing to work as hard. They overlook the potential for hard work to lead to delayed gratification. A wrestler knows this truth, so he is able to look past the present sacrifice and see the future gains. Wrestlers know delayed gratification. It is at the core of their sport. Common goals for a wrestler include winning a state or national championship, goals only achieved after a season’s worth of hard work. The wrestler delays gratification all season long so he may have the chance to experience the fulfillment of his goal. When I had my hand raised as a New England Champion, the first thought that crossed my mind was that all the effort was worth it. All of the hours at practice, the weekends spent at tournaments, and the late night runs to make weight, were worth reaching my goal. Because I had invested so much, the fulfillment I felt after winning was unlike anything else I had experienced in my life, beyond the scale of any kind of instant gratification. That fulfillment is the reason people wrestle. After you have tasted it, why is no longer a valid question. Every wrestler knows that the ability to delay gratification and exercise a future time perspective can lead to success on the mat. What is more important, however, is how these skills apply to life beyond wrestling. Learning to apply delayed gratification beyond the wrestling world is one of the most important skills that I have developed, and has improved my work habits. For example, when I have a large project or research paper, I think how by working on it a little every day I can avoid staying up all night right before it is due to finish the work. By framing the assignment in this context, I find the strength to resist procrastination and can get started early. Furthermore, when I have finished my assignment well before the deadline and am watching my classmates talk about their all-nighters, I experience delayed gratification similar to what wrestling provides. Whenever I face a choice between instant or delayed gratification, I choose delayed gratification because wrestling has taught me that it is a better way to work. Irving realized that wrestling is so rewarding precisely because it is so difficult. It requires sacrifice, but rewards you with delayed gratification. The kind of dedication wrestlers have experienced also creates the strongest bonds possible between people. Irving’s experience is common amongst wrestlers, because by participating in the sport, you show your commitment to improving yourself and your willingness to sacrifice and dedicate yourself. The ideals Irving described can carry wrestlers beyond their years in high school or college, because there is no such thing as a wrestling career. There is no real professional wrestling league, and outside of coaching, there is no way to turn your wrestling skills into a career. For most people who step onto the mat, the only profit they will ever reap from their dedication is the character they build. The lessons that are learned through wrestling, however, like delayed gratification and the future time perspective, are applicable outside of wrestling. 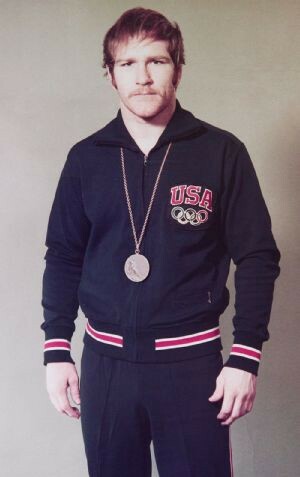 So many wrestlers go on to successful careers precisely because the values that they learn in wrestling—willingness to work hard, ability to delay gratification, dedication, grit, mental toughness, and the ability to use a future time perspective—are as difficult to develop through other channels as they are necessary for success. Wrestlers like Stephen Neal, a two time NCAA champion, who despite never playing football in college decided he wanted to play in the NFL, provide an example. Neal signed with the New England Patriots in 2001, and in 2011, he retired as a three time Super Bowl champion. Neal was able to channel the virtues he learned as wrestler into football. He was able to accomplish his feat because the virtues of being a wrestler are universal.